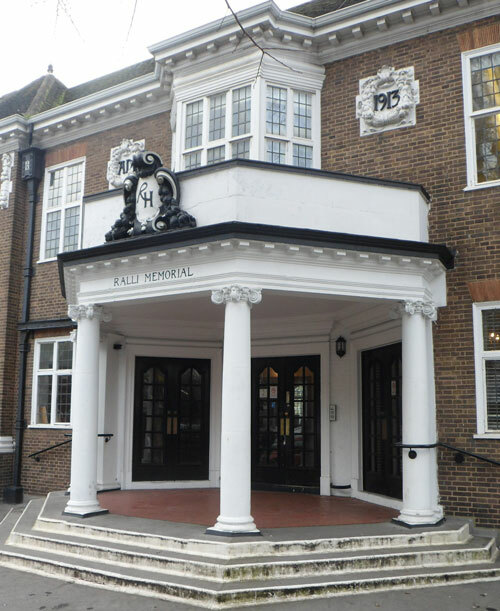 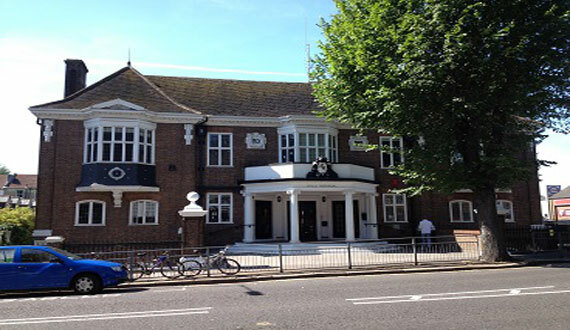 The Main Entrance to Ralli Hall and Reception from the street (Denmark Villas) offering a striking arrival and the right impression as you’d expect from a leading Brighton & Hove venue and landmark. 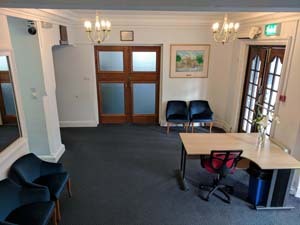 The Ralli Hall reception area offers a reception desk, coat rail and access to washrooms, disabled toilet, office, noticeboard, Main Hall & Stage, Magrill Room, Boardroom, cafe style eating area and kitchen. 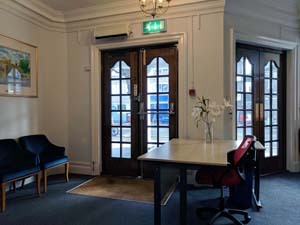 The Reception area is an ideal well illuminated visitor’s registration and gathering area flexible to a wide range of settings, displays, etc.